Funeral services for Fern M. Nock will be held at 10:00 AM on Saturday, February 16, 2019 at Trinity Lutheran Church, New Richland. Pastor Paul Andree will officiate. Visitation will take place one hour prior to the service, and burial will be in St. Olaf Cemetery. 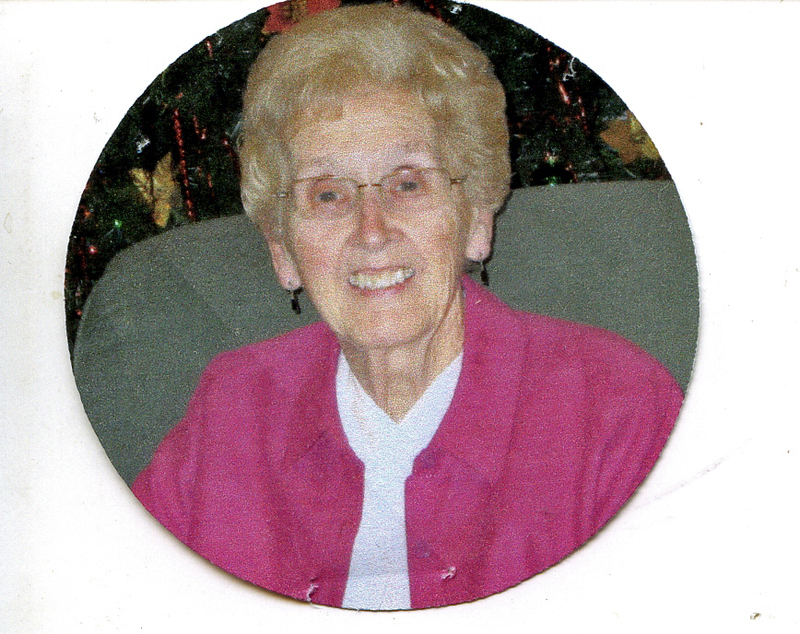 Fern passed away peacefully on Thursday, February 7, 2019 at Prairie Senior Cottages in New Richland. She was 92 years old. Fern Marzine (Guthier) was born on April 6, 1926 to Clayton and Mable (Amunrud) Guthier in Emmons, MN. Following high school, she graduated from Mankato Teachers College in 1946 with a two-year teaching certificate. She would later go back to college and get her B.S. Degree. Fern taught one year in Glenville, two years in Wells, and the rest of her 29 years teaching were in New Richland. She loved teaching and being with children. Fern was a Sunday School Teacher, a Girl Scout Leader, and served on the Church Council at Trinity Lutheran Church, where she was also a member of the Mission Circle. Fern was also a member of the Legion Auxiliary. When Fern wasn’t teaching or volunteering, she enjoyed growing roses and playing Bridge and Skip Bo with her friends and family. She is preceded in death by her husband, Bob Nock in 1989; and infant daughter, Susan Nock in 1957; sister, Neoma Helgeson; and special friend, Duane Pinz; as well as many close friends. Fern is survived by her only son, James (Ruth Lentz) Nock of Rochester; grandchildren, James (Amy) Lentz and April Lentz; 2 great-grandchildren; special friends Jerome Kubista of Ellendale and Darlene Abraham of New Richland; nieces, Linda Johnson, Bonnie White, Mary Ellis and Nancy Russler; nephews, David Johnson, Tom Helgeson and Scott Helgeson; as well as many extended relatives and friends. Memorials are preferred to Trinity Lutheran Church. Blessed be her memory!